In its shape, the monumental work reminds of Ukrainian map, which has lost part of its territory. The image of trauma Ukrainian society suffered after Russia annexed the Crimea in 2014 has a literal embodiment here: the notorious peninsula has been symbolically torn off from a piece of destroyed wall in the form of Ukrainian map. 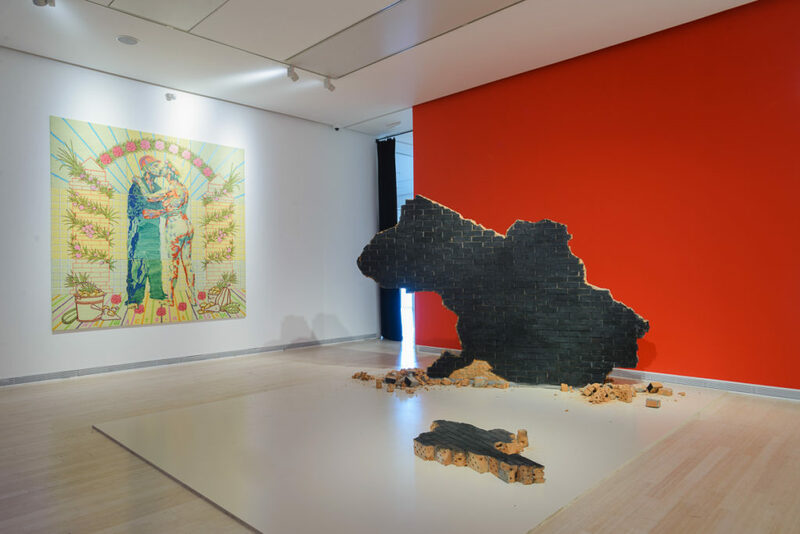 The image of the broken country also refers back to the disintegration of the Soviet Union and its economic collapse. 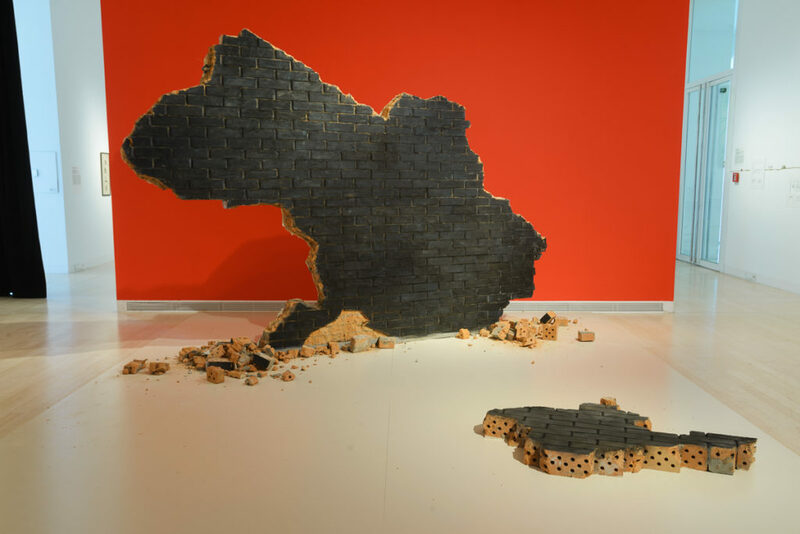 The sculpture has been cut out of a brick wall from an abandoned factory. One side has preserved traces of fire; yet another still has Soviet wallpaper glued on it. The sculpture composition was created in the turbulent ambiance of 2014 when Ukraine had just come out of its revolution and annexation of the Crimea, and the conflict in the east of the country was in its most acute phase. The author puts up the following question: home and its walls provide a feeling of security, but how reliable is this security in the face of changes?